Items 148- out of displayed. After a long time I looked at the wave count of 10 year US notes to confirm my view on stocks. For those who are following my analysis, particularly on Twitter, will know that I am bullish on equities. After-all, how can someone be bearish if market is trading near all-time highs!? Anyway, some major global indexes turned nicely up in the last 24 hours, so if this trend will continue then US treasuries should fall as yields rise. Well, I checked the wave structure on 10-year US notes and see nice and clear bearish pattern in progress with an impulsive personality. Latest bounce appears to be only a contra-trend reaction, labeled as wave four which suggests more weakness in sessions ahead. 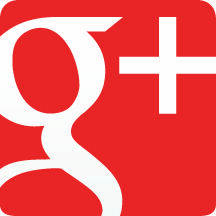 If that is correct then S&P500 should stay bullish. In fact S&P500 rallied with five waves from yesterday lows (charts available to members only) so more upside should be seen in sessions ahead. Ideally any decline will be short-term only as part of an uptrend. 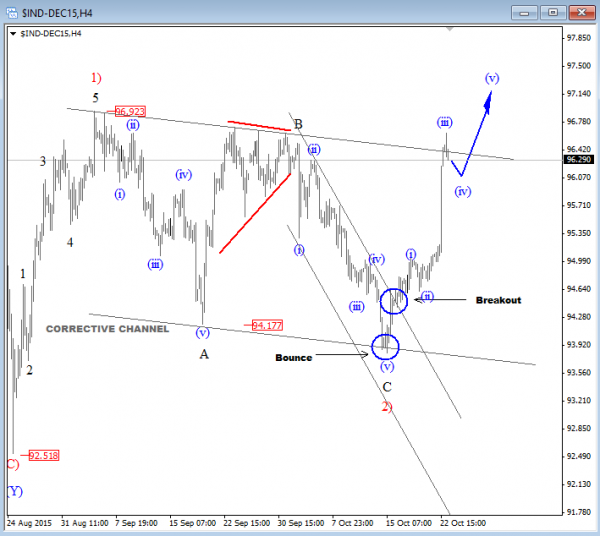 In our latest video analysis I will walk you through the USDJPY and German DAX intra-market analysis, and highlight the Elliott Wave patterns that can send USDJPY even to 125.00 this month. 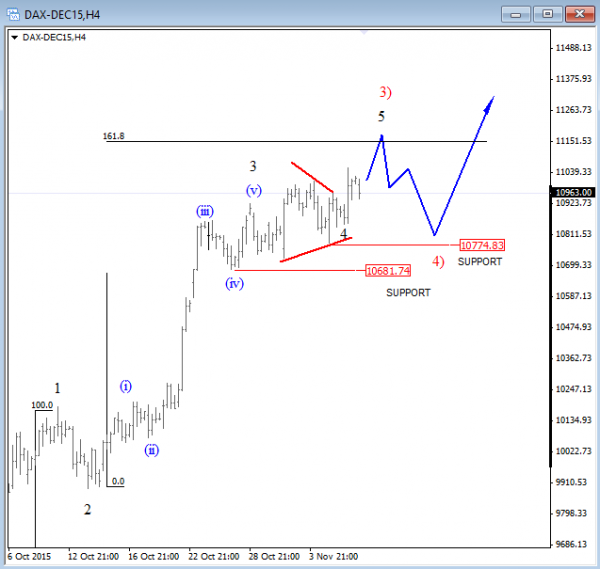 DAX moved higher on Friday, it finally broke out of a triangle formation in fourth wave as expected. As such, current leg up can be final within extended impulse, but there is still room for 11150-11200 area before we may see a new correction. Ideally any deeper retracement will be corrective red wave 4) of a higher degree as shown on the updated count. Clearly DAX is in bullish mode so it's important so stay with a trend and label the wave count in the direction of a primary trend! Gold keeps trading lower with very aggressive and sharp decline since price broke the lower side of a trading channel near 1158. This will typically occur in wave 3 of an impulsive price action so it looks like that metals are headed back to the lows of 2015. In fact, leg from 11183 is extended that is now trading close to 261.8%. 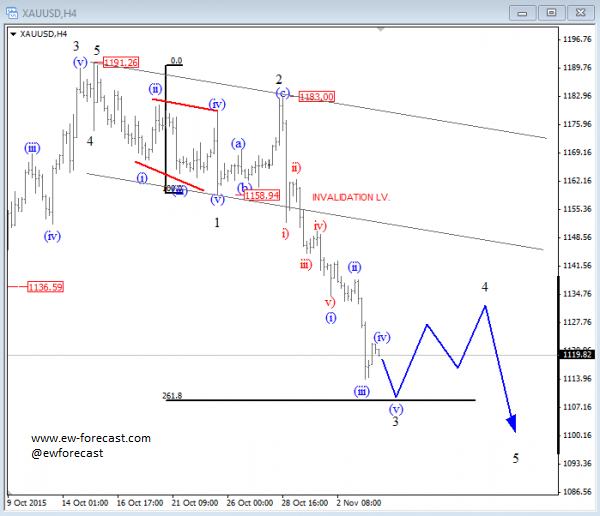 Ideally price will find some support here but only temporary for a bounce up in wave 4 before we go to even lower levels. Invalidation level is now at 1158 as long this one holds trend is down. 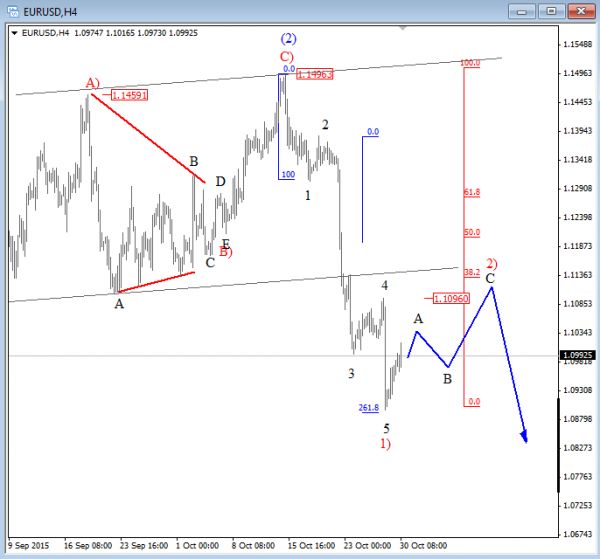 EURUSD fell again on Wednesday after recent consolidation to 1.1090 that we labeled it as wave 4. After that we have seen wave 5 down now that hit 261.8% extension of wave 1 measured from wave 2, so it means that support can be near. We can already see some recovery back to 1.1000 so ideally correction is now in play towards1.1100-1.1150 resistance area, from where new leg down may occur at the start of November. On the intraday chart of the S&P500 Futures contract we see a nice and slow pullback which has a corrective personality so it confirms the fact that retracement is just temporary and part of incomplete uptrend. We see it as a blue wave (iv), which will typically retrace back to the area of a former wave four and for 38.2% compared to wave three. In our case we can see this interesting zone coming in at 2050-2053 so ideally price will bounce higher from here. We think that uptrend will continue to 2085 soon. USD index made an impressive run higher in the last 24 hours, to the upper side of a trading channel where gains can be limited, but not for long. What we see is wave (iii) at the high so pullback will be wave (iv) that can retrace back to 96.00 area before uptrend will continue. We think that price is headed up to 97.00 area in the next few trading days.